Rev. Dr. William J. Barber, II, Moral Monday Architect, President and Senior Lecturer of Repairers of the Breach and Co-Chair of the Poor People's Campaign: A National Call for Moral Revival, digs deep in to religious and American history to remind us all that real preaching is more than just standing behind a pulpit. Tennessee State University remembers the life and legacy of Dr. Martin Luther King, Jr. with a MLK Day of Service and Convocation featuring prominent civil rights activist, Rev. Dr. William Barber II. Some issues are not left versus right, but right versus wrong. Repairers of the Breach is a nonpartisan 501 (c) 3 tax exemptnot-for-profit organization that seeks to build a moral agenda rooted in a framework that uplifts our deepest moral and constitutional values to redeem the heart and soul of our country. We challenge the position that the preeminent moral issues are prayer in public schools, abortion, and property rights. Instead, we declare that the moral public concerns of our faith traditions are how our society treats the poor, women, LGBTQ people, children, workers, immigrants, communities of color, and the sick. Our deepest moral traditions point to equal protection under the law, the desire for peace within and among nations, the dignity of all people, and the responsibility to care for our common home. We organize, train, and work with a diverse school of prophets from every US state and the District of Columbia who are rebuilding, raising up, and repairing the moral infrastructure of our country. We are organizers, faith leaders, and volunteers based in North Carolina. We work alongside diverse moral activists across the country who are leading moral movements in their states. The Rev. Dr. William J. Barber, II is the president and senior lecturer of Repairers of the Breach. An author, preacher, and professor, he is the chief architect of the "Forward Together Moral Movement." The “Higher Ground Moral Declaration” is a nonpartisan moral public policy agenda framework for the nation at the state and federal level. The Higher Ground Moral Declaration provides a moral agenda for our nation on issues including: democracy and voting rights; poverty and economic justice; workers’ rights; education; healthcare; environmental justice; immigrant rights and challenging xenophobia; criminal justice; LGBTQ rights; and war-mongering and the military. For each issue area, an individual moral and constitutional foundation is established. The positions are neither left nor right; neither conservative nor liberal. Rather, they are morally defensible, constitutionally consistent, and economically sound. Most importantly, they represent, as Dr. King urged, a moral revolution in values. Drawing on the unfinished work of the Rev. Dr. Martin Luther King Jr.'s 1967/68 Poor People’s Campaign, which called for a “revolution of values,” Repairers of the Breach is working in partnership with the Kairos Center for Religions, Rights, and Social Justice, the Popular Education Project, and hundreds of local and national partners, to lead the Poor People’s Campaign: A National Call for Moral Revival. 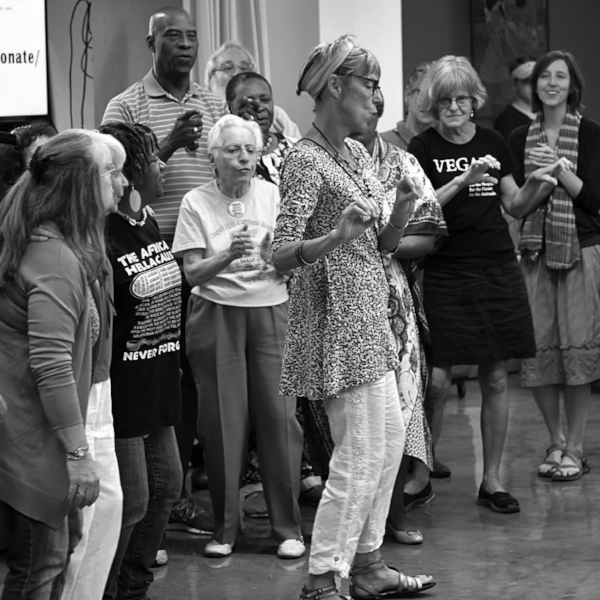 This multi-state movement has emerged from more than a decade of work by grassroots community and religious leaders, organizations, and movements fighting to end systemic racism, poverty, the war economy, environmental destruction, and other injustices. We organize, train, and work with a diverse school of prophets from every US state and the District of Columbia who are rebuilding, raising up, and repairing the moral infrastructure of America. While the impacts of extremism in our politics and public policy are often described through data, our trainings are always organized alongside people who are directly impacted and organizing their own communities, so that we can always put a human face on extremism. We facilitate Moral Political Organizing Leadership Institute Summit (MPOLIS) trainings for moral activists across the country. Our training program helps build tools for movement organizing and social policy analysis and articulation. The Rev. Dr. William J. Barber II and Jonathan Wilson-Hartgrove host this highly spiritual and issue-based gathering in North Carolina to equip our movement with resources for faithful reflection and public action on moral issues. The gatherings feature interviews and keynotes by impacted persons. A podcast is available on SoundCloud and iTunes. In partnership with hundreds of local and national organizations, we host mass meetings in states across the country to discuss the impacts of systemic racism, systemic poverty, the war economy, and ecological devastation. The mass meetings feature testimonies and keynotes by impacted persons and campaign leadership. Your tax deductible donation can help stop extremists’ policy violence against the poor and vulnerable across our country. Please consider a monthly grace-filled donation to ensure the essential work of the moral movement can be sustained with your secure contribution.